The full McDowell + Service team consists of 23 registered technicians, 3 laboratory assistants and 5 administration staff. Within this are 10 Shareholders, 1 Managing Director and 4 Company Directors. 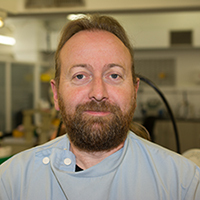 Stephen is a qualified Dental Technician and also Managing Director at McDowell + Service Dental Laboratory LTD. Stephen qualified as a Dental Technician in 1987 at Manchester Polytechnic and in his final year won The Student of The Year Award. He served his apprenticeship and gained valuable experience working in one of Europe’s largest dental laboratories in Bolton in England. He returned to his homeland in 1995, gaining a position in the Crown and Bridge Department at McDowell+Service, operating on all aspects of metalwork and implant cases. He has attended many training courses, throughout Ireland, the United Kingdom and Europe and he now applies his talents in Ceramic work and in particular eMax pressable ceramics. Jennie came to McDowell + Service in 1991 and worked in the Crown and Bridge Department for 6 years. Jennie then made the transition from technician to administration and sales and spent 5 years dividing her time between managing the laboratory finances and visiting surgeries. During this time Jennie completed a National Diploma in Business and Finance and completed a Sales Generation Programme run by Invest Northern Ireland. Following the management buy-out of the laboratory from founders Miles McDowell and Robert Service, Jennie became Finance Director and has held this position for the last 15 years. Jennie manages all aspect of administration and finance within the laboratory, if you need any information on the daily operations of McDowell and Service please call and Jennie will be happy to help. Nick started work in 1987 at a Dental Laboratory in Derriaghy before moving to McDowell+Service Dental Laboratory Ltd in 1989 where he is now one of the owners leading the Chrome Department and overseeing the labs marketing activities. Nick gained the Advanced City+Guilds Certification in Dental Technology in 1992 and is a G.D.C. registered dental technician. Nick’s other interests include playing drums, guitar, fly fishing, golf and caravan trips with his wife and two daughters. Barry’s Dental Technology training started in Belfast with a BTEC National Diploma and then he was awarded both Higher National Diploma and a BSc. (Hons) degree in Dental Technology from Manchester Metropolitan University. Barry joined the McDowell+Service team in 1996 and was part of the management buyout in 2000. Registered with the G.D.C Barry works as a Chrome Technician and is also responsible for the Information Technology Infrastructure which is all maintained in-house. Jesse started work back in 1980 and qualified as a Dental Technician in 1985. He joined the McDowell + Service team shortly after specialising in Crown + Bridge metal work. Having attended numerous courses here and the U.K. Jesse now specialises in all areas of Implant work including CAD CAM bars and overdentures. Jesse is a Director and part owner of McDowell + Service. Jesse’s hobbies include tennis and rugby, he is also a keen amateur cook. Suzanne initially started work as a dental nurse and then a year later in 2000 joined McDowell + Service as administration staff. Suzanne worked in administration gaining valuable contacts with clients. In 2006 Suzanne took on the role of sales representative. Suzanne’s week is now carefully divided between the office and Sales for the whole of Ireland. Suzanne enjoys going out to meet new people, existing clients and finding out what is new in dental technology. If you require any sales information contact Suzanne. After qualifying at Kitson College Leeds in 1986 Simon worked in the Middle East and Australia for a number of years. He now has over 32 years experience in Crown & Bridge and Implants and now spends his time between our Ceramic and Implant departments. His hobbies include Fishing and Photography and he is also one of our three First Aiders on site. 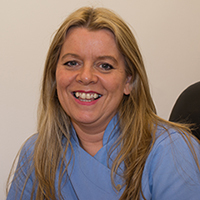 ​Geraldine is a fully qualified dental technician, having gained her BTEC National Diploma in Dental Technology from Belfast’s School of Dentistry in 1997. She joined McDowell + Service in the same year and has over 18 years’ experience as a qualified dental technician. She became Head of Orthodontics in 2013. Geraldine is registered with both the General Dental Council and the Orthodontic Technicians Association. 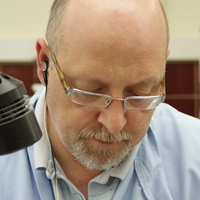 Jay is a fully qualified Dental Technician with over 15 years’ experience this industry. In 2005 she achieved her BTEC National Diploma in Dental Technology from Belfast’s School of Dentistry and in 2006 began her career with McDowell+Service. Registered with the G.D.C. Jay works as a Crown & Bridge technician as well as specialising in CADCAM, Milling and 3D Printing. 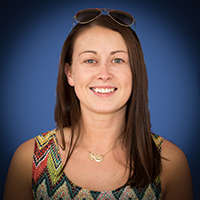 Jay continues to develop her skills and knowledge by attending training courses across Europe and has a particular interest in researching advancements in Dental Technology and how they can add measurable value to the business. 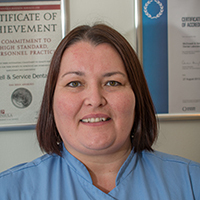 Jo was born in Manchester and studied at Manchester Metropolitan University, qualifying in 1995 with BTEC National Diploma in Dental Technology. After working for a time in England, Jo moved to Belfast in 1996 and has been a technician for the last 27 years, Jo joined the prosthetic department of McDowell + Service in 2007 and has been a registered certified Valplast technician since 2008 and specialises in this field. If you have any queries at all or need some advice as to how to go about prescribing a Valplast denture for your patient, call Jo, she has a wealth of knowledge and experience and can discuss and all aspects of Valplast . Luke is a fully qualified and registered Dental Technician achieving a BTEC National Diploma, Higher National Diploma and BSc. Hons in Dental Technology. Luke joined McDowell and Service in 2008 and has since become the head of the Prosthetics department. His expertise covers all areas of Prosthetic work having a particular interest in implant retained hybrid bars and overdentures. 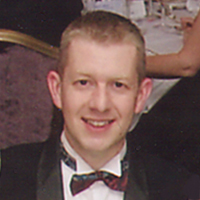 Brian is a qualified, registered Dental Technician, starting his training in a dental laboratory in Belfast in 1998. A year later he joined McDowell + Service where he has become one of the longest serving members of staff. Brian first started working as a Chrome technician where he spent several years, before being promoted to head of our Crown + Bridge Model department. 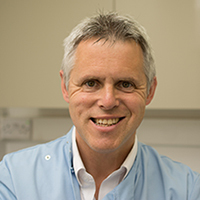 As head of department Brian has overseen a transformation of the department, changing model systems to get the most accurate fit for all our crown and bridge and implant work, while also making it more efficient, never compromising on quality.